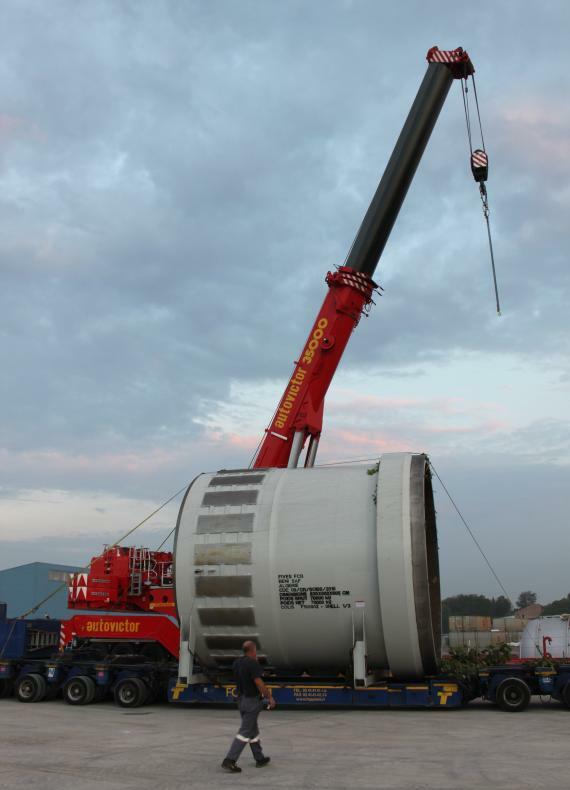 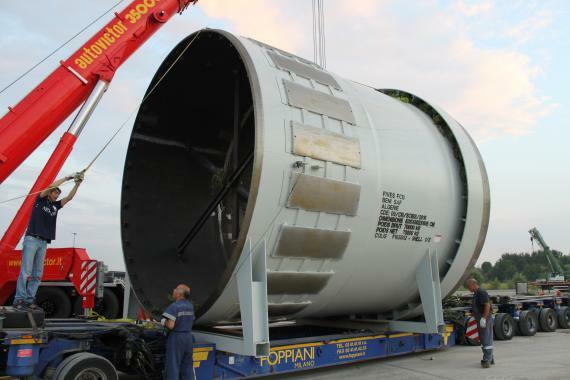 Members in Italy, Fortune International Transport have recently completed the challenging transport of a large piece showing their problem-solving expertise. 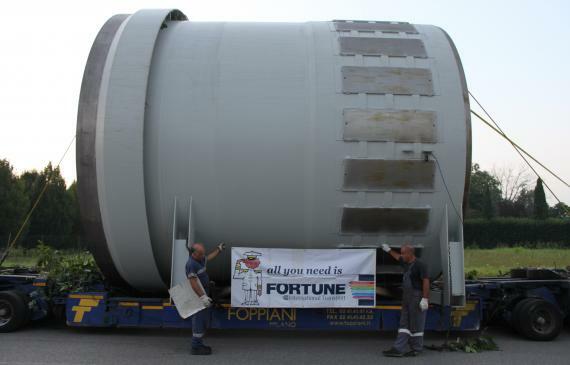 Managing Director at Fortune, Paolo Federici explains; "The piece to be transported is enormous, not so much a matter of weight (70tns), but a problem with the measurements. 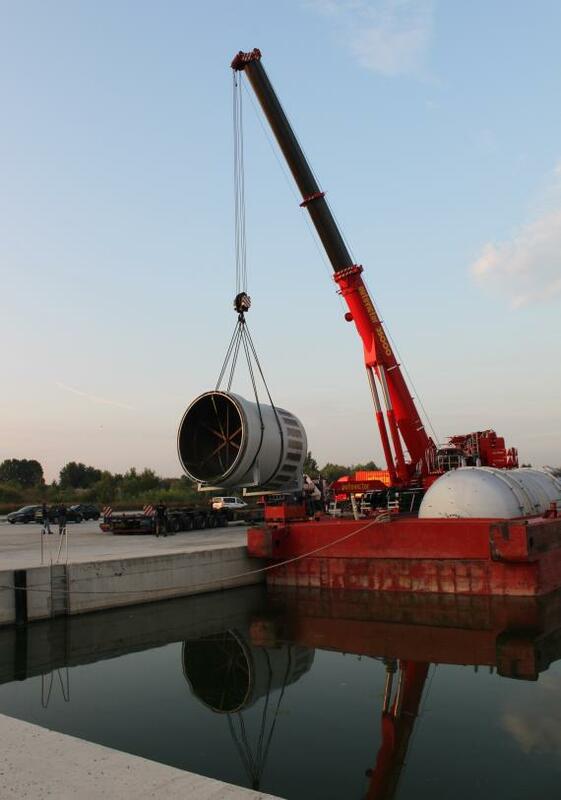 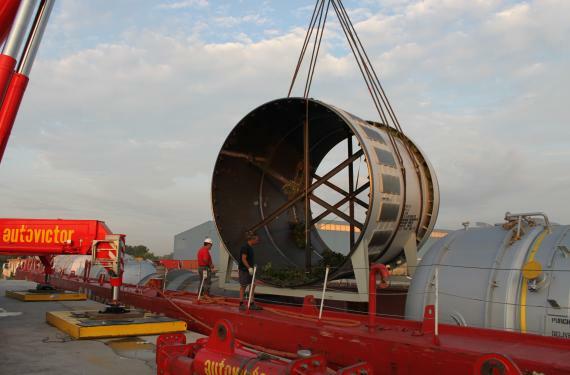 A huge ring with a diameter of over 6m needed to be transported in Italy from the province of Novara to the Port of Marghera in Venice before being loaded on board a vessel for shipping. 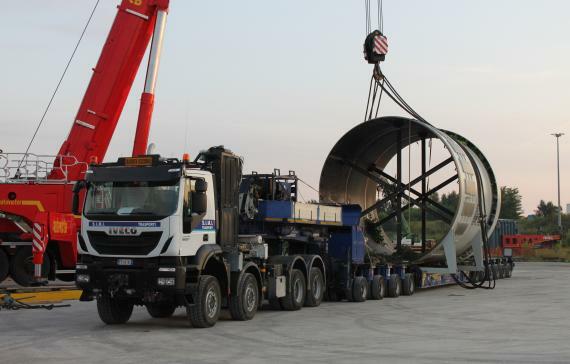 Firstly, we planned to make the transport by road and obviously, the preparations were made well in advance including the road route studies and checking the bridges and tunnels on the route. 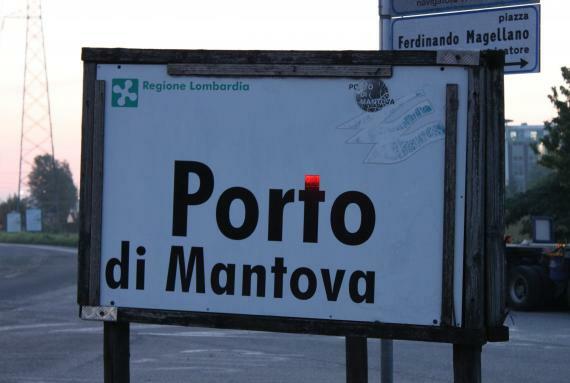 When everything was almost ready, the road authorities suddenly decided that a certain passage is closed indefinitely which was the only possible route we could take by road. 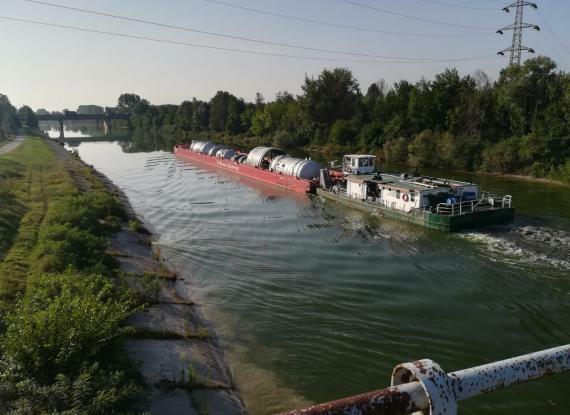 Therefore, we had to completely change our plans and in Italy, there are not only roads and railways - we also have the navigable rivers! 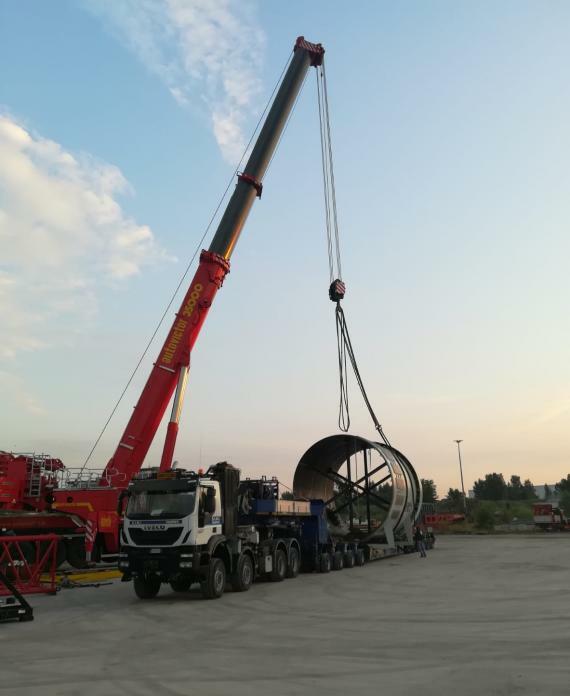 We changed all the road routings and brought the huge piece from Novara to the river port at Cremona but, alas there was a low water problem at the port! 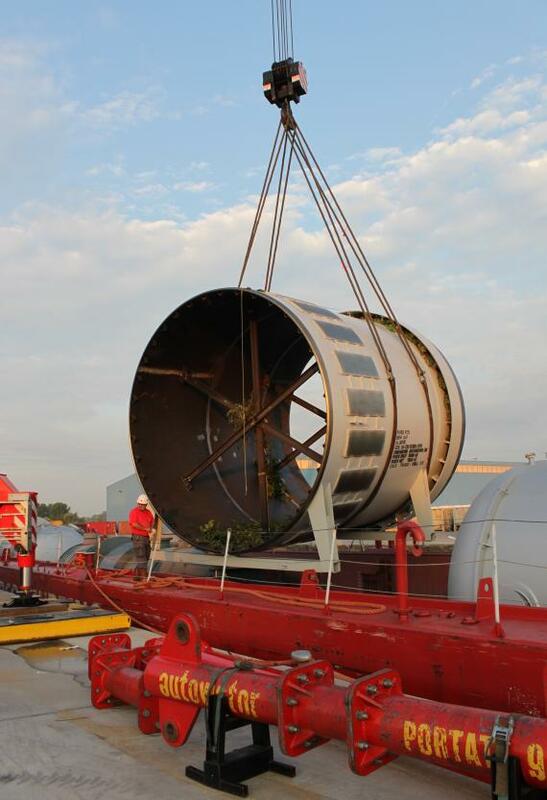 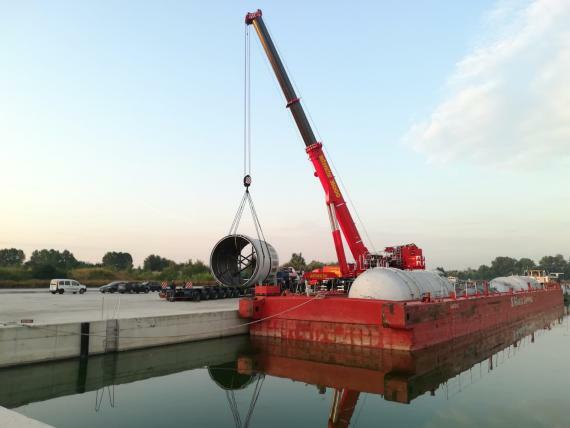 So, we had to move the piece again to another river port at Mantova where we transferred it from the truck to a barge which followed the river route bringing the cargo to Marghera to be directly loaded from the barge to the ship using the on-board cranes." 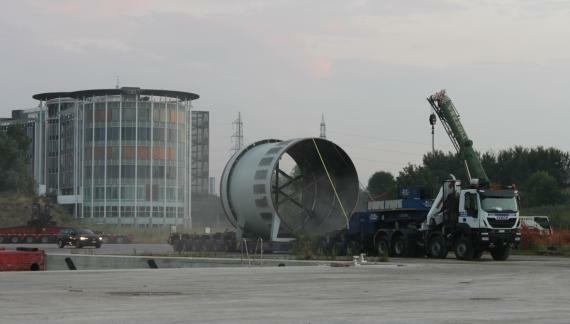 Please click here to view a short video outlining the operations and click the gallery below for photos. 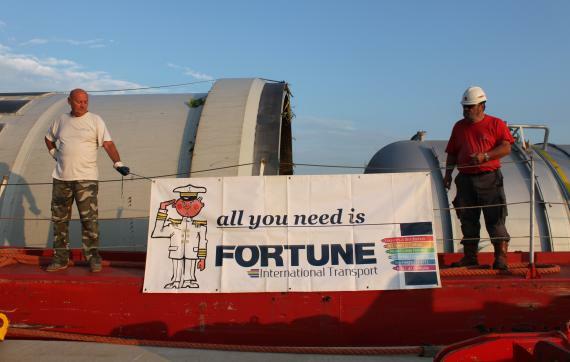 Each problem was carefully reviewed and solved by Fortune and as Paolo concludes... "the exact task of a project forwarder is to solve the problems and Fortune have delivered!"